Millions of people in the U.S. struggle with substance abuse and drug addiction every day. For family and friends, it can be difficult to recognize the signs and symptoms of drug addiction. For many people, knowing that a loved one has an addiction to drugs can be overwhelming and scary, and ignite a number of uncomfortable emotions. But it’s critical for parents, spouses, and other family members to recognize addiction symptoms and act quickly. The sooner someone is able to get treatment for substance use disorder, the faster they can recover. Getting treatment early in the course of the disease increases the chances that someone will be able to achieve and maintain lifelong sobriety. The following article will break down the symptoms of addiction, and the different types of paraphernalia involved in drug use so families can act quickly. Drug addiction is a disease that affects a person physically, emotionally, and behaviorally. While different drugs may affect a person in slightly different ways, there are a number of core, common symptoms that are present in the disease of addiction, regardless of the particular substance a person is abusing. Sleeping too much, too little, or at odd times of the day and night. Sudden, severe changes in appetite and weight. Looking tired, rundown, or sickly. Eyes that are red or teary. Unexplained drowsiness or high energy. Sudden tooth decay, or ulcers. Changes in the skin, including the appearance of track marks. In people with mental illness, symptoms of mental illness may be intensified. If a person begins to exhibit these types of symptoms, it’s possible that drug use is to blame. Some of the symptoms may vary somewhat depending on whether a person is taking stimulates, opiates, or other drugs. Empty plastic sandwich bags in various sizes. Pipes, or items fashioned into a pipe. Broken lighters missing the safety tab. Pill bottles hidden in strange places. Cocaine is a white-powder drug that can be snorted, ingested, injected, or vaporized and smoked. Cocaine that is intended to be smoked is processed into a rock crystal form and then vaporized in a pipe, called crack cocaine. Cocaine powder can also be dissolved in water and then injected. 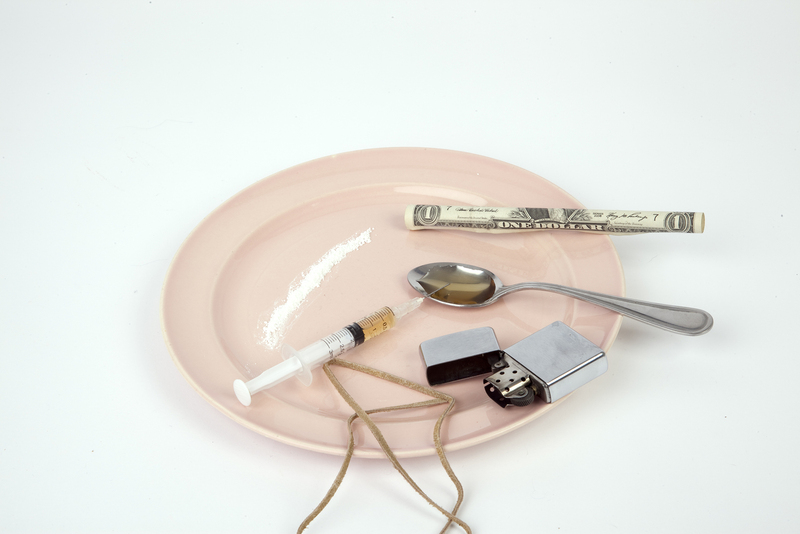 Each method of use requires a different set of paraphernalia items, but most people who abuse cocaine will snort the drug. Untreated, cocaine addiction can lead to numerous and irreversible cardiovascular issues, and significantly increase a user’s risk of having a heart attack or a stroke. If cocaine is injected, users put themselves at risk of HIV or hepatitis C transmission. People will sometimes inhale industrial chemicals and other everyday, household items to get high. On the street, these drugs are referred to as “whippets” and are a cheap and easy way for teens and young adults to get high. Abusing inhalants can cause hallucinations, permanent brain damage, and organ damage. Ecstasy, MDMA, and Molly are mind-altering, psychoactive drugs that give the user a powerful high and increased energy. These drugs are usually sold on the black market as a powder or as colorful tablets that resemble candy. Ecstasy, MDMA, and Molly are recreational drugs that people typically take in night club settings. Meth is an incredibly powerful stimulant drug that is usually smoked, although it can also be injected. The drug is often sold in small, plastic bags and has the appearance of ice shards or crystals, giving it the name “crystal meth.” The drug is comprised of many different industrial waste products and harsh chemicals. Untreated methamphetamine addiction can cause numerous dental, skin, and other health problems. Methamphetamine addicts that inject the drug risk contracting HIV or hepatitis C.
People who are addicted to drugs will often use certain items to hide or cover-up their drug use. Drugs often leave behind tell-tale smells and other evidence of their abuse. Sunglasses for covering up red eyes dilated or constricted pupils, or unnatural eye movements brought on by drug use. Breath mints, mouth wash, and breath sprays. Why would someone need to recognize different types of drug paraphernalia? In many cases, drug use starts during the teenage years. The younger a person starts abusing the drugs, the more mental and physical health risks they expose themselves to. In addition, drug use during the teen years that is left untreated well into adulthood makes it much harder for a person to kick the habit and become clean. The longer a person abuses drugs, the higher their risk is for fatally overdosing. It’s crucial that people are able to recognize the signs of drug abuse in their teenager or loved one because stopping addiction early leads to much healthier, more positive outcomes for everyone involved. If someone finds paraphernalia in a loved one’s possession, how can they approach their loved one? Finding out that a loved one is abusing drugs can be terrifying and feel like a betrayal of trust. Confronting a loved one from a place of anger or fear can make things worse. It is essential to take a step back and fully assess the situation before confronting the situation with a loved one. First, it’s critical to understand how addiction works. When someone continually puts themselves in harm’s way by abusing a substance, they’re often struggling with intense physiological factors that are beyond their control. Addiction completely rewires the brain’s risk and reward system, and once a person forms a dependence on a drug, quitting induces painful, distressing withdrawal symptoms that can be difficult and risky to overcome without outside intervention. Second, loved ones will need to research available treatment options for their loved one. Withdrawing from drugs without medical intervention can be dangerous and also increases the chances of relapse. Researching ahead of time can also help someone find out which type of treatment would be the most beneficial for the addicted family member. Knowing what kind of drug a loved one is addicted to, and researching available treatment facilities for that specific substance can help concerned family members obtain effective treatment interventions. Finding drug paraphernalia in a loved one’s possession can be a terrifying experience. Although addiction can be challenging to treat, there are many effective treatment methods for drug abuse and addiction. It doesn’t matter what substance someone is addicted to – every drug addiction can be successfully treated with integrated treatment methods from an experienced team of licensed addiction specialists. If your loved one is struggling with drug addiction, please contact a representative at Windward Way rehab center to explore your options for treatment.